Why are the best business ideas for working with seniors such potential money makers? Because of the demographics. The leading edge of baby boomer generation started turning 65 in 2011. In the U.S., over 10,000 baby boomers a day are turning 65 and the number of seniors is expected to double by the year 2050, to 80 million – and most of that growth started in 2010 and will continue until 2030, when the baby boom generation enters their senior years. The U.S. Census Bureau predicts that the number of seniors will grow by an average of 2.8% a year during that time. In Canada, seniors are expected to comprise a quarter of the population by 2041. So this is a market that’s only going to get bigger, providing ever more business opportunities for those able and willing to meet their needs. (And remember; that’s the best way to choose a business idea; see The Two Paths to Starting a Business.) Best of all, services for seniors is a recession-proof business. So let’s examine the needs of the senior target market and see what products and services they might be most interested in. Most people age 65 or over live at home, either with a spouse or alone. According to research by the American Association of Retired Persons (AARP) nearly 90% of seniors wish to continue to live independently by staying in their own homes and communities. Unfortunately, many seniors have a disability or activity restriction that requires them to seek assistance with various activities. Chronic health conditions are widespread among seniors, with four out of five seniors residing at home having a chronic health condition of some kind. The most common of these conditions are arthritis or rheumatism, hypertension, (non-arthritic) back pain, heart disease and cataracts. 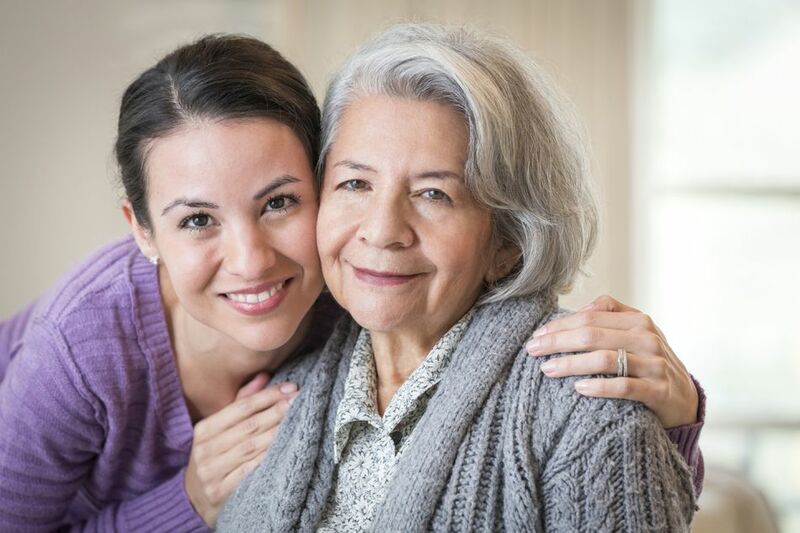 In addition to physical ailments many seniors, particularly those living without a spouse or family in the vicinity, have a need for companionship. According to a study by the University of California there is a strong link between loneliness and serious health problems and death in the elderly. Even physically able seniors can feel empty or desolate without social interaction. Disabilities, medical conditions, loneliness and just plain disinterest creates all kinds of business opportunities for taking care of things inside and outside the home. In addition, younger, healthier seniors often enjoy traveling and while away from home may have similar needs such as house and yard maintenance services, house/pet sitting, etc. House and/or pet sitting are popular needs for seniors and others who travel frequently, and given that new dog and cat ownership continues to expand at nearly 4% per year, house/pet sitting businesses are popular businesses to start. House owners that travel must have someone house sit (or at least visit the house on a daily basis) to maintain insurance coverage. Many seniors with mobility issues have dogs and due to age or illness cannot exercise them properly, so dog walking services are also in demand. Note that often busy working people also have a need for dog walkers due to time constraints. If you are thinking of starting a house/pet sitting business, make sure your business is bonded and insured. One-quarter of older seniors require help with housework, while one in ten need help with personal care activities, such as washing, dressing or eating” (Canadian Seniors: A Demographic Profile) – which is why the home health care industry is exploding. Obviously, you could start a business from scratch providing in-home care services to seniors. But you could also buy into a franchise that provides such services; there are many available now as the in-home health care industry is so hot. Gardening is something that many people enjoy but can be physically demanding for seniors. Arthritis can make gardening chores such as weeding, putting in a vegetable garden, or mowing the lawn very difficult, creating the need to have someone else do all these things and more. Even younger, busy folks don't necessarily have time to do basic yard maintenance. Many locales are banning pesticide use and pushing homeowners to reduce water usage, so offering services such as green weed control and drought-tolerant landscape design can be attractive to customers. Lawn care services can be turned into an all-season business idea by adding snow removal in winter where applicable. Housecleaning services are also popular with seniors and younger folks with mobility problems (or just a dislike of housework, like myself). Like pet/house sitting businesses, if you plan to start a housecleaning business it will need to be bonded and insured. Maid businesses are easy to expand as the customer demand grows. Other esthetic treatments such as massage, facial, etc. The pick up and delivery of items such as dry cleaning, packages, etc. Organizing home repairs, yard maintenance, etc. Falling is the leading cause of unintentional injury for seniors, so any activity that might involve climbing on ladders is not a good idea for the elderly. In fact, most people don't want to do these chores. Why would seniors? One of the most successful businesses in my locale does window, siding, and gutter cleaning, and they are booked up months in advance. If you want to start a window/gutter cleaning business make sure you think safety first, and have the appropriate insurance in place for yourself and any employees. From cleaning out a garage through putting up blinds or moving furniture, there are all kinds of chores around the home that older folk may not want or be able to do for themselves. Have the skills to do household renovations? Renovations that make it easier for seniors to get around their homes, such as front-walk ramps, bathroom renovations, installing grab bars, etc., could provide endless work. Many seniors aren’t able to drive themselves and require transportation to and from medical appointments, social events, to do chores, etc. Lift-equipped vehicles are especially in demand. Franchises such as Driving Miss Daisy are available. Check the vehicle licensing requirements in your jurisdiction - you may need a chauffeur's license. You will also need a commercial auto insurance policy as well as liability insurance to cover the possibility of a client being injured during transport. Think devices that close and open things at the touch of a button: blinds and canopies, hot tub covers, pocket doors, garage doors, windows etc. can all be controlled this way. There are also video security door phones, keypad door locks/deadbolts and other devices to make seniors' lives easier and more secure. And the “button” doesn’t have to be manual; it could be a click or a swipe on a computerized device too. Smarthome technology will appeal to some; a love of gadgets and a strong belief in science’s ability to solve problems are hallmarks of the boomer generation. You could start a business meeting this need by producing hand-crafted canes or operating a retail store that sells and/or rents medical equipment such as wheelchairs, oxygen delivery systems, mobility assist devices etc. Electric scooters sales and service is another possibility. Products such as walk-in baths, and furniture with lift-assist built in are also in ever-increasing demand. As people age they have a greater need for healthcare services such as physiotherapy, massage therapy, orthotics, etc. These required specialized skills and training but are excellent business opportunities given the demographic trends of today. There are growing opportunities in alternative medical services such as acupuncture, Chinese medicine, aromatherapy, and naturopathic medicine. Consider that any senior today was born before 1950 and then consider all the technological gadgets that either didn’t exist or have changed greatly in the last 65 years. (Ever see or use a phone or a typewriter like the ones in the photo above, for instance?) Sometimes seniors need help with figuring things out and sometimes they just want help. Great business opportunities exist for the technological wizards who can go to people’s homes and show them how to do things from getting WiFi working on their tablets through getting their Smart TV configured. The ideas I’ve presented above are truly only a few ideas for businesses that you could start based on providing products and/or services to those age 65 and over. Seniors are a great target market because as a group, so many of them have the same needs, and many of them have the money to fulfill them. Pick the right business idea, and some of that money could be flowing into your pockets.